FREE $5 Book for Parents and FREE books for classrooms whne you order scholastic books online! www.scholastic.com/bookclubs Enter code GW8T9. Breakfast is served until 8:15 a.m. every morning. All payments are due by 6 p.m. on Tuesdays – at the latest. Late fees will be assessed for late payments. The next Infant Opening is November 2013. Please remember to update your child’s health and immunization records on a regular basis. Fall Fun Begins at Child’s Play! October is a great month at Child’s Play and we will be welcoming autumn by studying pumpkins, celebrating with fall themes, trying new recipes and several classes will be visiting Spieker’s Pumpkin Farm in Random Lake. Our goal is to introduce autumn through hands-on experiences your children will be sure to enjoy! To enjoy your own fall experience, we’ve found a great recipe for pumpkin muffins that you can make with fresh or canned pumpkin! The Chip Shoppe – Formerly known as Mr. Z’s Fundraiser – To Raise Funds For A SmartBoard! Our bi-annual fundraiser kicks-off on Tuesday, 10/10/12 thru 10/19/12. All proceeds will be used to purchase a SmartBoard for our center! 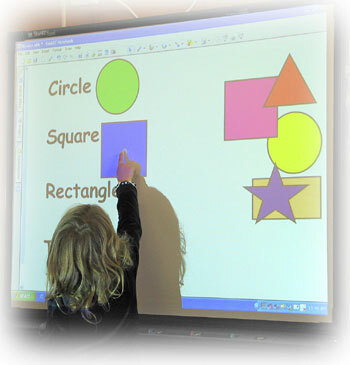 A SmartBoards is an interactive whiteboard that uses touch detection for user input. A projector is used to display a computer’s video output on the interactive whiteboard, which then acts as a large touch screen. SmartBoard interactive whiteboards typically come with four pens, which use digital ink and replace traditional whiteboard markers. The Child’s Play SmartBoard will be located in the front lounge/classroom and will be used by most of the classes for interactive learning. Many local schools have begun using SmartBoards and they behave similar to smartphones and other touchscreen devices. Our goal is to integrate this new technology to give your children another way to learn and a technological headstart! Wednesday, 10/10/12 – 3:30-6 p.m.
All parents are invited to stop into the staff lounge (the front room right next to the sign-in station) to sample catalog items that are available during our Chip Shoppe/Mr. Z’s sale. In an effort to make pick-up time easier for all families on tasting day, we have relocated the tasting party to a separate room. If you would like to offer your children samples, small “to-go” options will be available for you to share at your discretion. The Tasting is meant to help you, the parent and primary salesperson, to understand what the catalog has to offer as you make purchases and share the catalog with family and friends. We hope you will stop-in, on your way to pick-up your children, to experience all we have to offer this year! We are once again offering a wide variety of food and gift items, including gift wrap supplies! Please return all proofs of photos by Friday, 10/5/12. We turn in the orders on Friday. Late orders will need to coordinate directly with the photographer. We will soon be sending home developmental checklists and portfolios with an invitation to schedule a Parent-Teacher Conference the week of November 5-9. Coming Soon…A Revised Curriculum Program – HighReach! With our help, the company that designs early childhood curriculums revised thier nation-wide program to include many of our suggestions and recommendations. We feel that the new appearance, themes and lesson plans are AWESOME and we can’t wait to put them into action in our center. Watch for streamlined classroom calendars, parent involvement opportunities and more details soon! While we know that running late isn’t intentional or easy to manage, please contact us if you know you are going to be more than 1 hour behind schedule. State law requires us to log these types of changes in schedule and we need your help to comply with this regulation. Stories, songs and puppets engage children for an enriching special event. Child’s Play Learning Center recently hosted Kathy Luck, a storyteller, ventriloquist and librarian from the Brookfield Public Library, to offer their children a new way to learn. 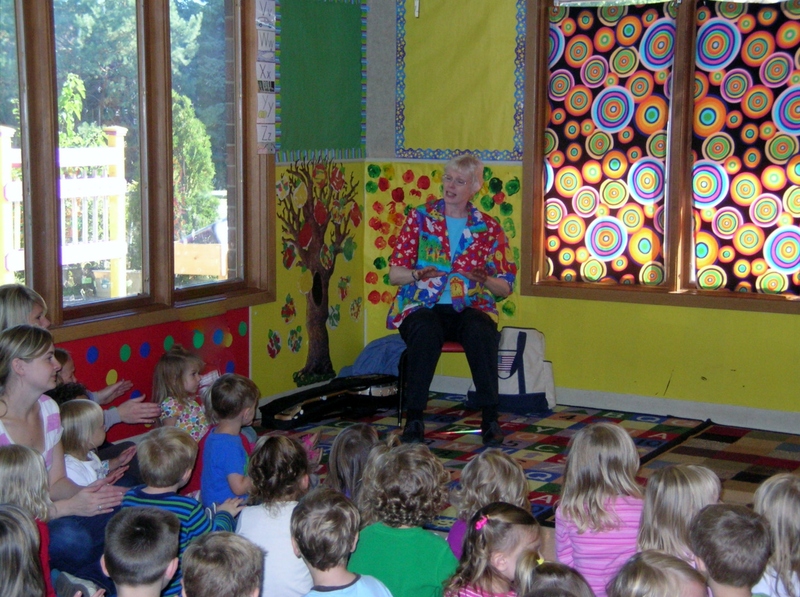 Using stories, puppets and songs, Luck has been perfecting her craft for more than 20 years in southeastern Wisconsin and has been visiting Child’s Play Learning Center for 15 years! Luck was a practicing accountant when she discovered the joy of working with children. Currently employed by the Brookfield Public Library, she enjoys attending conferences, workshops and festivals for storytelling, puppetry and ventriloquism to get new ideas and to improve her skills. In addition to her current repertoire, Luck worked as a clown and brings part of this unique art to her presentations. 10/5/12 Picture Proofs & Orders Due. 10/10/12 Chip Shoppe/Mr. Z’s Sale Begins – Tasting for parents – 3:30-6 p.m.
10/12/12 Lake Country Academy – Early Release – let us know if your child will be with us all PM. 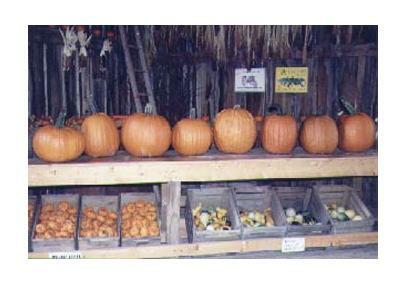 10/12/12 Fire Truck Visit – 10 a.m.
10/17/12 Spieker’s Pumpkin Farm Visit, 9:15-11:15 for several classrooms. 10/18/12 Lincoln Erdmann Early Release – let us know if your child will be with us for the long afternoon. 10/25-26 SASD – NO SCHOOL – Field trips will be planned for all school-aged children. Please let our teachers know if your children will be joining us on those days. Every now and then, we poll our staff to ask them for ideas about what they wish you, as parents, knew. Following is a summary of ideas and concepts we would like to pass along. We spend time working on skills every day, in different areas of learning. We work on sign language every day which helps our friends understand and communicate with us. We have fun working as a mother and daughter team. We love bringing our family values to our big Child’s Play family. For 23 years ALL of our children learned the story Brown Bear, Brown Bear from cover to cover. We are on our third volume!! We want our moms and dads to know how much we practice independence and how important it is to our class. We flip on our own coats, pull down our pants, wash our own hands, push in our own chairs and we always use good manners just like the big kids! You should know how fun and silly our class can be and how important laughter is in our everyday learning activities. We both have degrees in early childhood education and we use our experience and education to create a positive curriculum-enriched learning environment for our classroom and the center as a whole. We want you to know what an impact we make in each child’s life. Many children who are now in high school and college still come back to visit and say, “Hi” to their pre-school teachers. Also, many of us have been stopped at restaurants, malls etc with the words, “Do you remember me?” We love it!! You should know how proud your child was going around Child’s Play in a parade, wearing their apple sequencing crowns and singing “Little Apples” to all the classrooms. We love getting up every morning to come to work. We put time into planning fun, educational activities for our classroom. Each school age child has such a unique and brilliant personality and hearing their stories and all the entertaining things they have to share with the other children makes it such a fabulous class and brings a smile to my face every day. New food must sometimes be introduced10-15 times before a child will accept them. Keep trying!